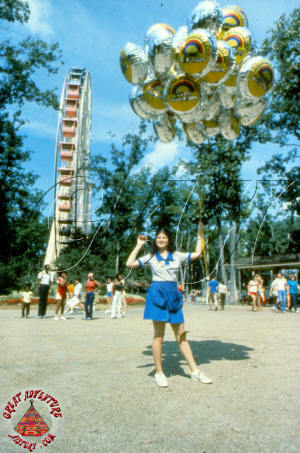 Balloons have long been part of theme parks, amusement parks and fairs. 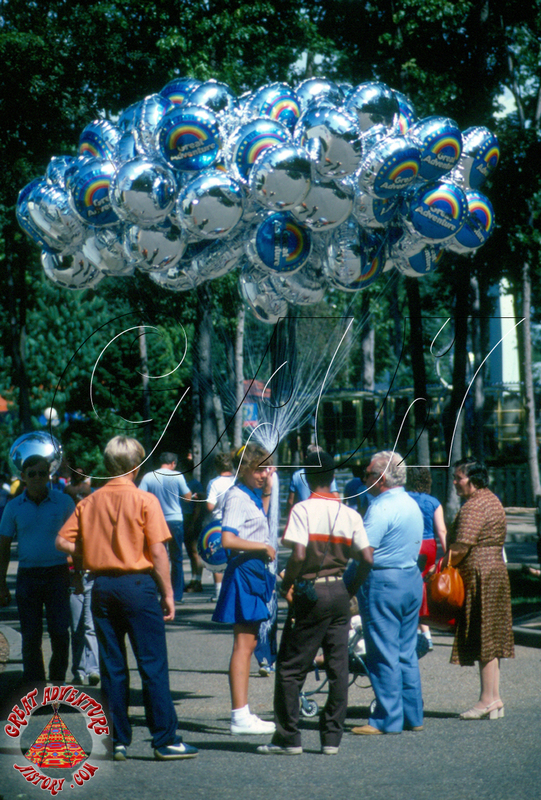 The simple brightly colored rubber balloons have taken many shapes and forms, eventually evolving into the shiny mylar balloons of the space age. From the very start of Great Adventure thousands of colorful balloons have been an important part of the park's atmosphere. 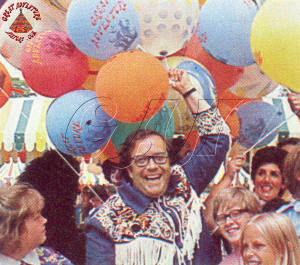 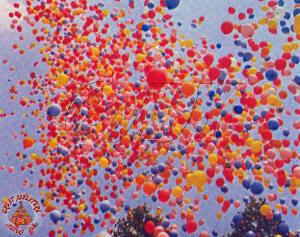 The grand opening of the park was heralded with the release of hundreds of colorful balloons into the sky. 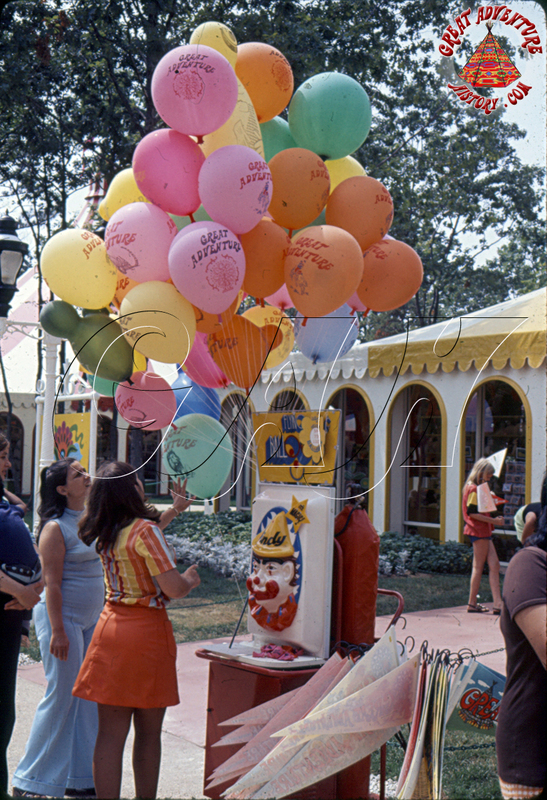 As guests entered the Enchanted Forest theme park one of the first things they saw was the twin balloon stands flanking Dream Street. 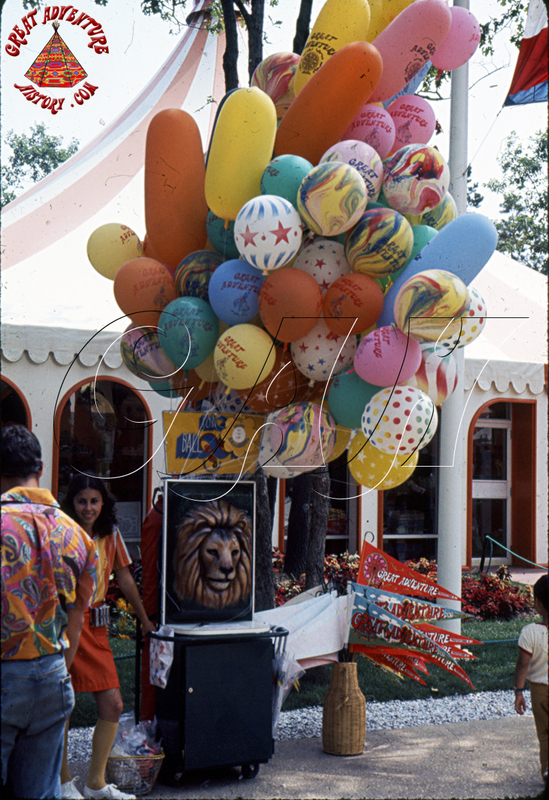 The helium tanks were fitted with fiberglass faces of a lion and a clown which had the filler valves in their mouths. Dozens of colorful balloons in varying shapes and sizes were waiting to be purchased. 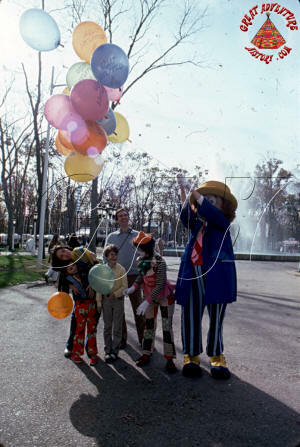 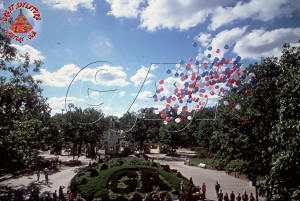 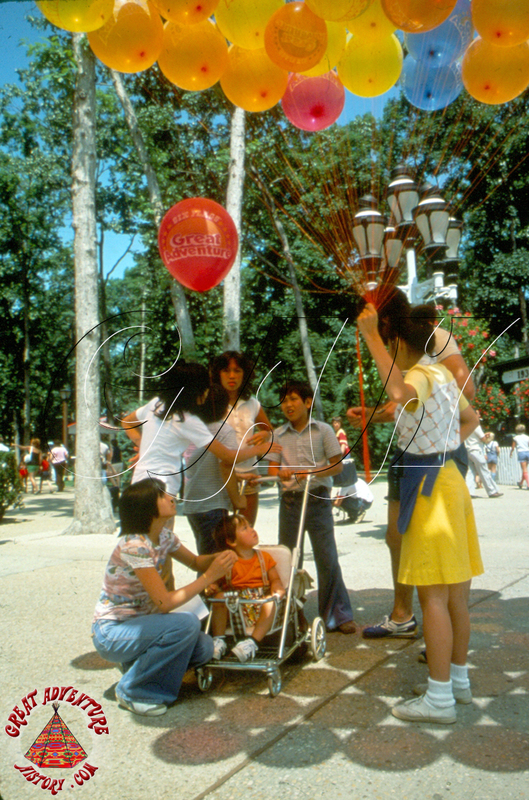 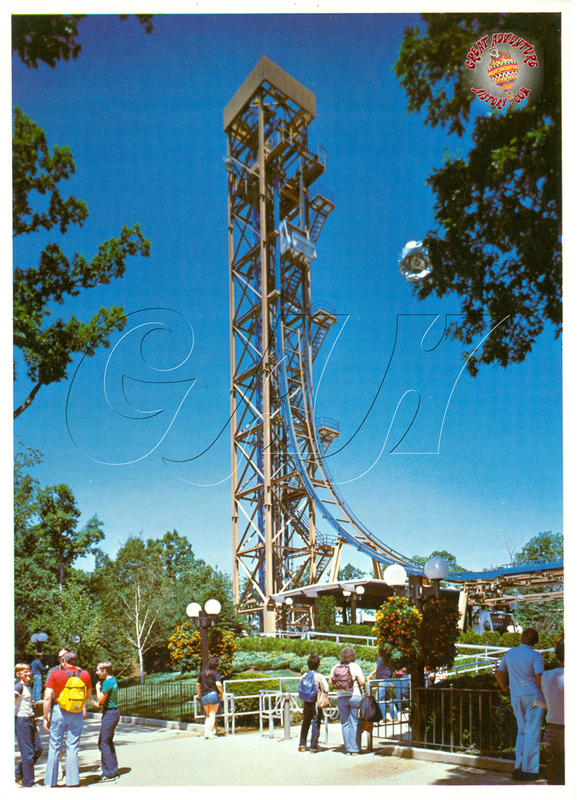 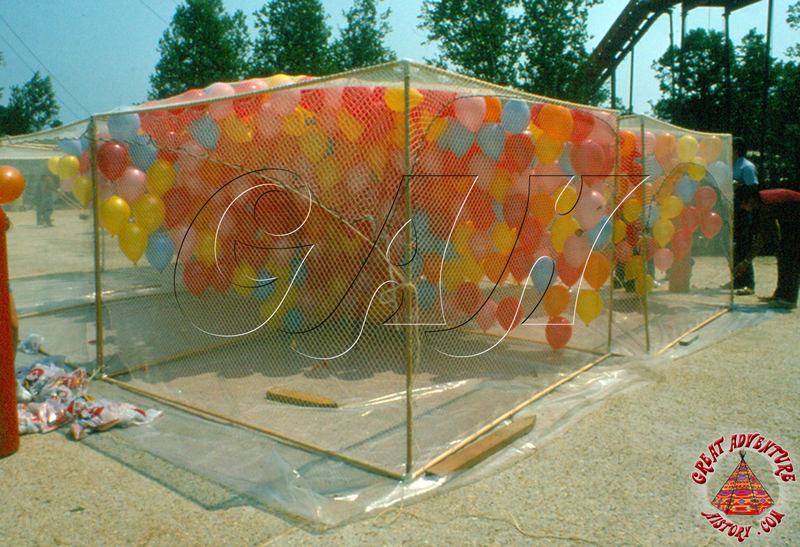 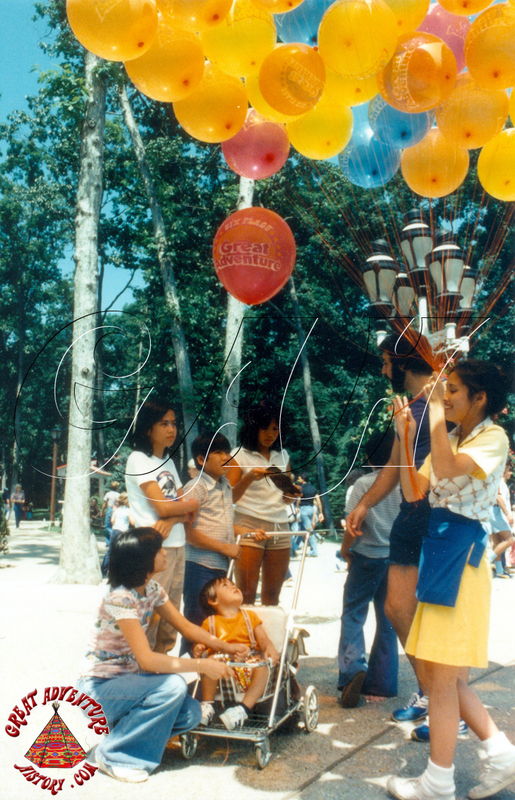 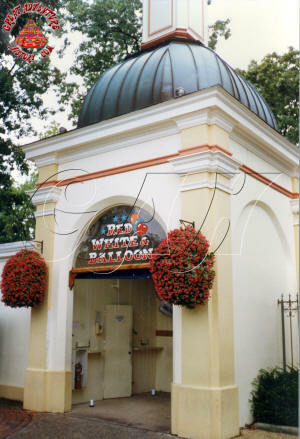 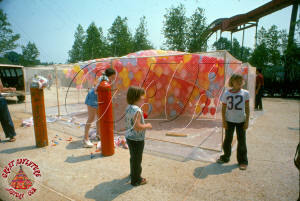 With the relocation of the park's entrance plaza in 1976, a new more substantial balloon stand was built. 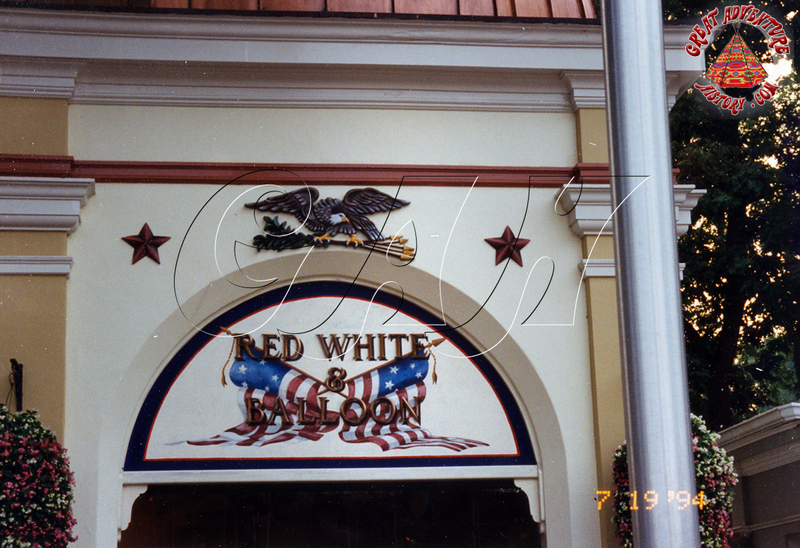 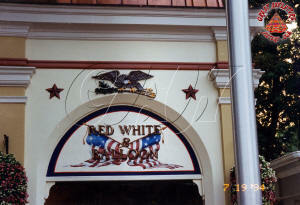 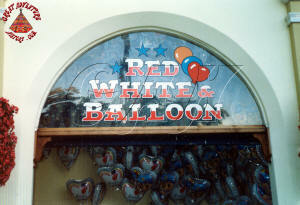 To fit the patriotic theme of the new entrance plaza and America's Bicentennial, the new balloon stand was given the name Red, White & Balloon. 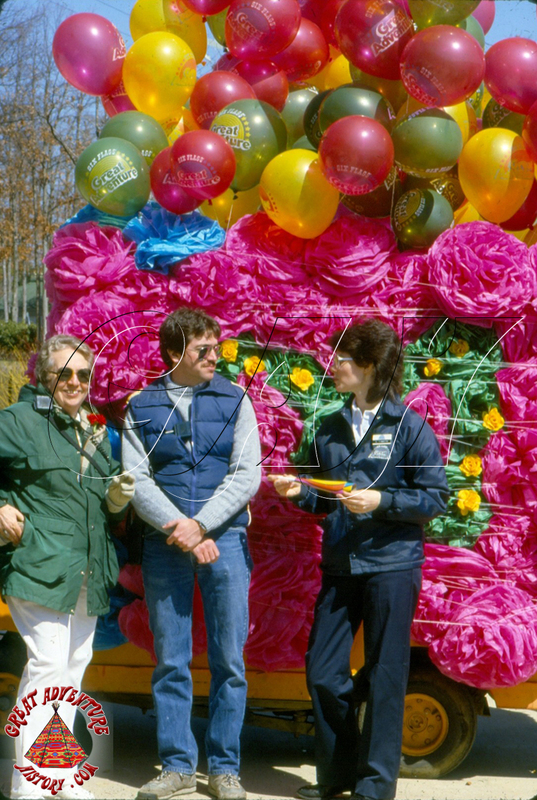 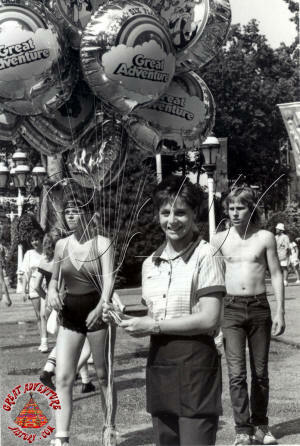 Balloon girls were a longtime feature at Great Adventure, walking through the park with huge bunches of balloons. 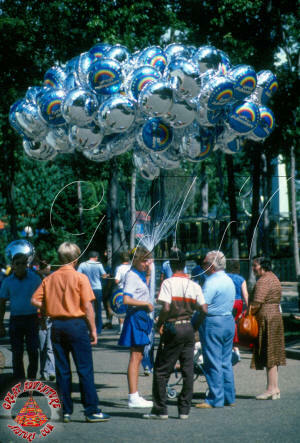 Generally they were found along Dream Street and in the area near the Aqua Stadium as the crowds waited to go in or as they left the shows. Guests often photographed the balloon girls, especially when they were walking around with huge bunches of balloons. 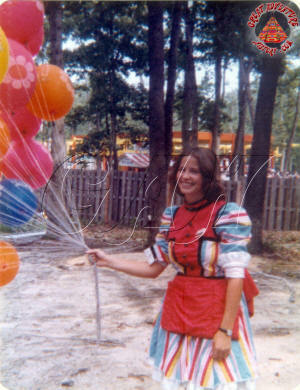 It wasn't unusual to see one or more balloons drift away when a balloon girl was trying to pull one out of the bunch for a guest. 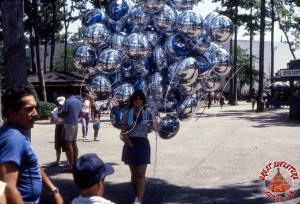 With the introduction of mylar balloons which held their helium longer it was quite common to see them in the ceiling of the parks restaurants and show venues for weeks at a time. The shiny silver balloons would also catch in the branches of trees where they would stay for long periods of time until the wind dislodged them or a crew with a high reach truck could take them down. 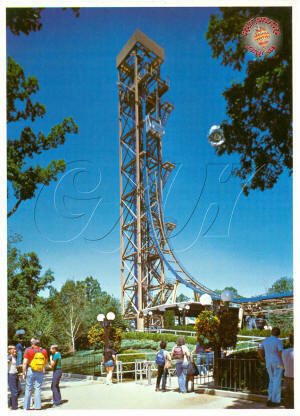 For many years the postcard image of Freefall showed a deflated mylar balloon in a tree in the foreground. 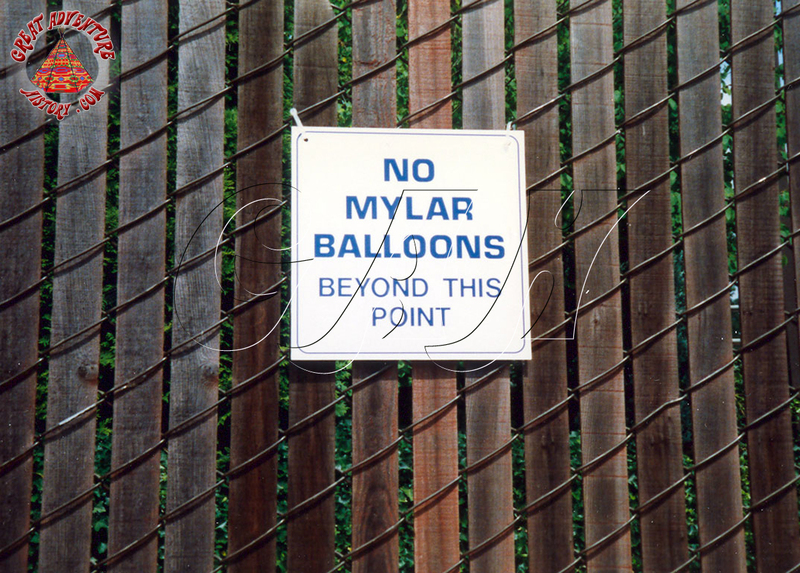 While the park hosted a laser show in the Great Arena there was a ban on mylar balloons in the Arena for fear of them getting in the line of the lasers and reflecting the beams into someone's eyes. 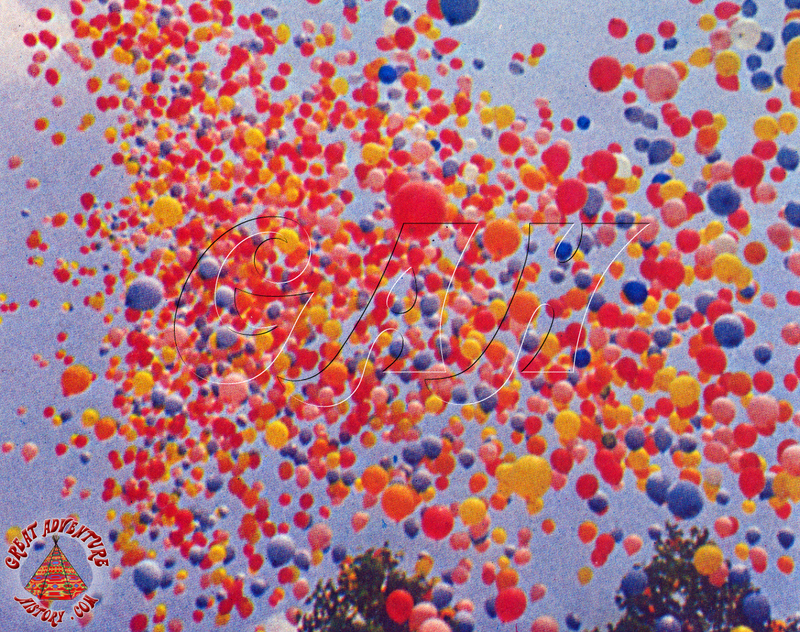 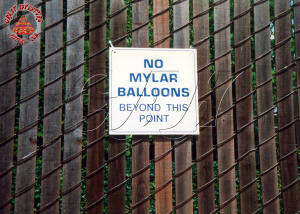 As time went on balloons disappeared from the park as concerns for the environmental impact of the rubber or mylar on wildlife came to the forefront and the longtime park staples disappeared. 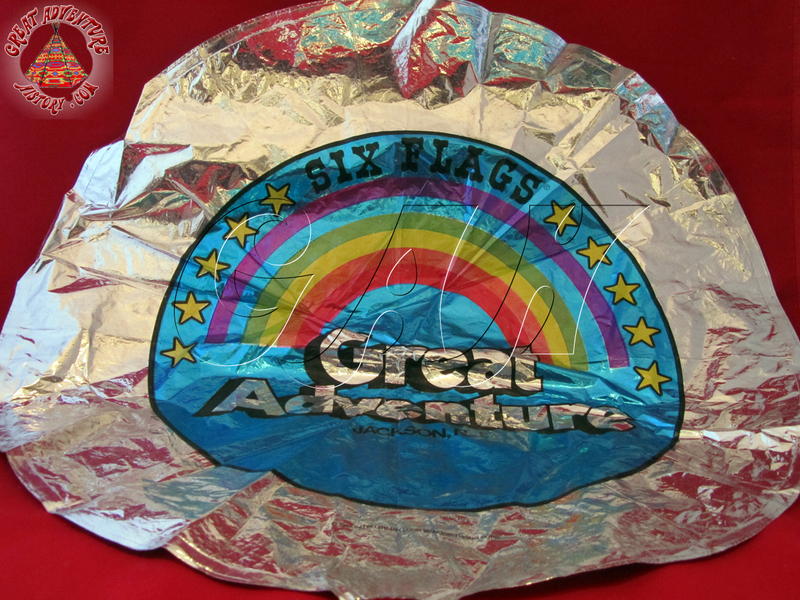 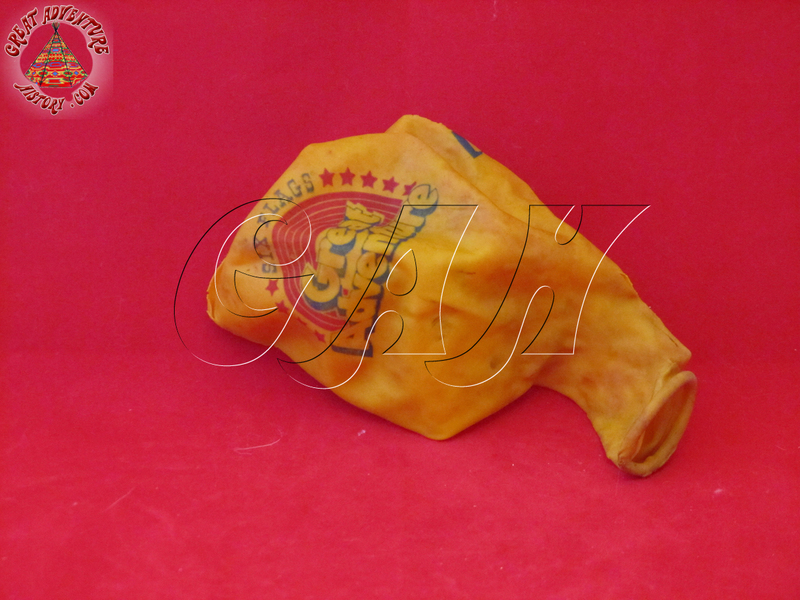 These are two examples of the many styles of balloons that Great Adventure has sold through the years.